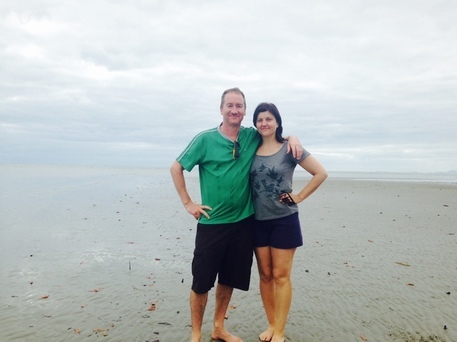 Since first 'discovering' Port Douglas in 2011, our little family enjoyed a number of holidays in Port Douglas. Then in 2014, after a particularly cold and wet winter, we left our home in the Yarra Valley outside Melbourne, packed up the cars and headed north to the sunshine. It's been a great change and together with our daughter we've settled into the tropics. Port Douglas Massage has started as we'd love to showcase some of the amazing treatments and services available in Port Douglas including smoke free accommodation in Port Douglas. Not all masseuses are the same! But if you are in town for just a few days, and have left behind Sydney urban rooftop paintings, how would you know who is the best or what might be the best value? TripAdvisor and onsite reviews may be good - but we'll aim to give you some first hand experience and profiles of massage providers we like in Port Douglas. 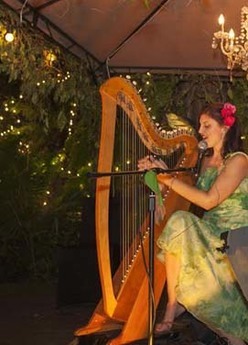 ﻿﻿Visnja sings and plays harp at weddings in Port Douglas. Look out for Visnja at the Sunday Markets where she sometimes busks with CDs and books for sale.